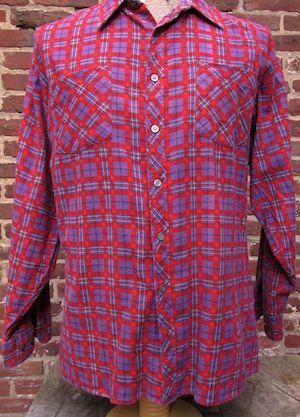 Home > Items just added 4/3-4/17 > (Roomy XL, Short) Mens Vintage 1970's Flannel Shirt, Purple, Red, Beige, Navy Blue Plaid Pattern! Chest: 53" Recommended for a Roomy XLARGE Due to Shoulders. May fit a smaller 2XLARGE. Meant to fit Boxy. 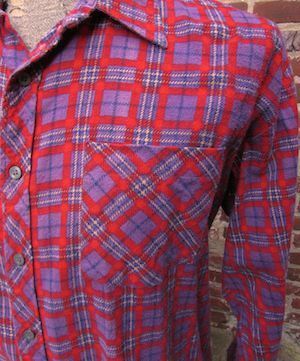 Sleeves: 30" Collar to Cuff / 23" Shoulder Seam to Cuff, Sleeves are Shorter than Average.